Kind of a cloudy day though the morning started out clear. Decided to share something bright and calming due to the wacky, busy day I had. 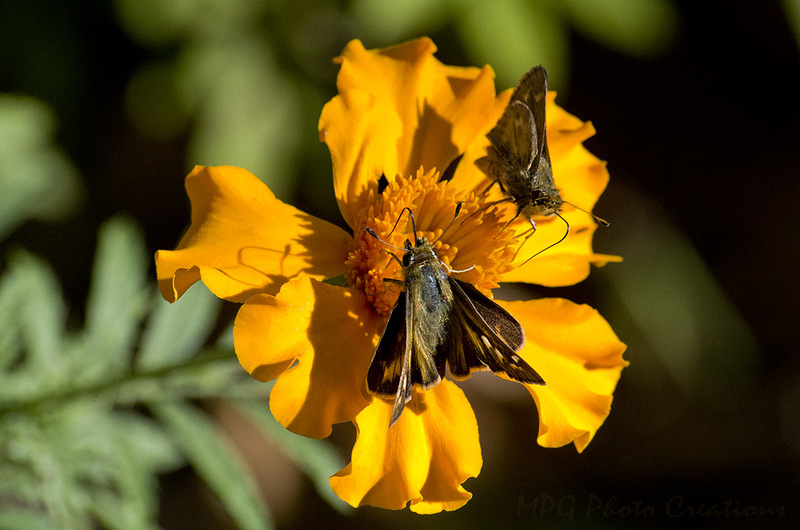 This is a couple of Skipper butterflies that visited the Marigolds this past Autumn. These were about the only thing blooming at the time and they almost always had some type of butterfly or Skipper on them.